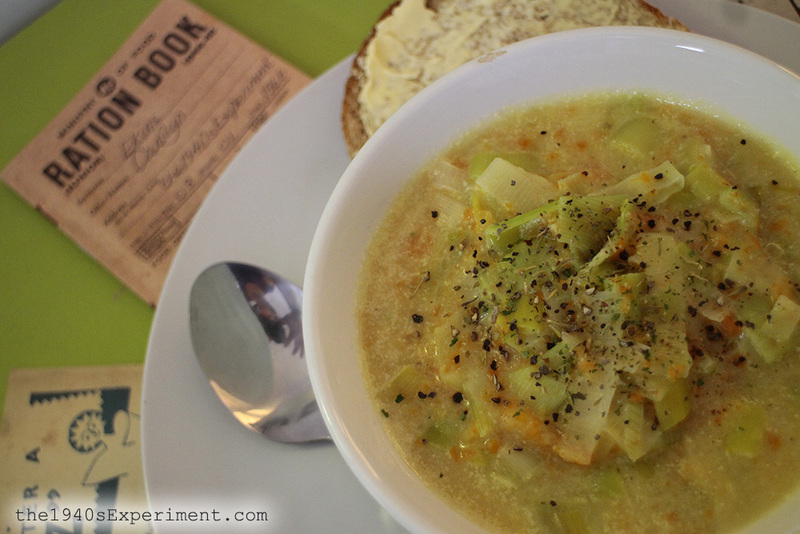 I think vegetable stew has to be one of my staple dishes when I am eating ration book style. Just for the hell of it I wrote everything down today that I put in mine (which lasts me for two days and is 4 servings) and converted it to calories and how much the ingredients cost. There are two things I struggle with most of the time. Making my pennies stretch and being able to fill my tummy without consuming too many calories. 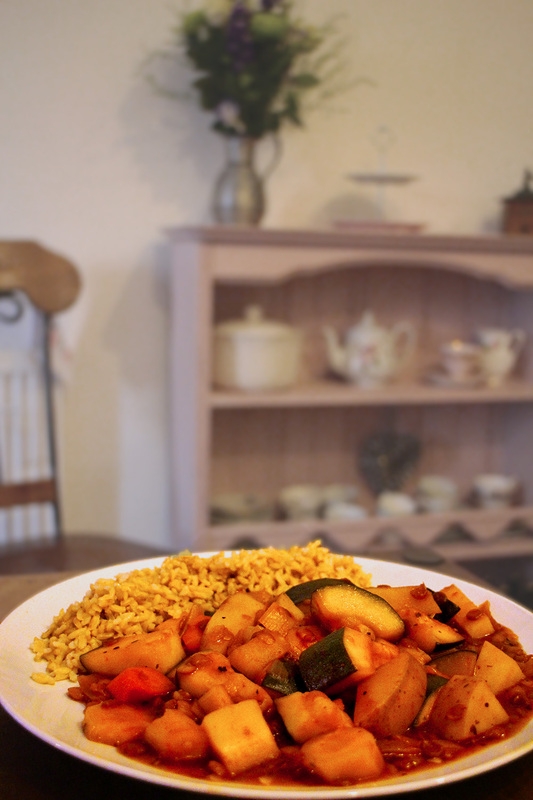 My stews are often a solution to these problems as I use up vegetables that are on the turn (I hate waste) and I can make a huge saucepan full to feed 4 which is nutritious and all for around 800 calories and just 50 p a portion! It tastes good too so what’s NOT to like about that! Add dried herbs and chutney. Put Bisto powder in a separate bowl and add a little cold water and make into a thin paste. Add lentils and stir again. Cover and simmer on a medium heat until the carrots are tender enough to eat. Remove from heat and stir again. 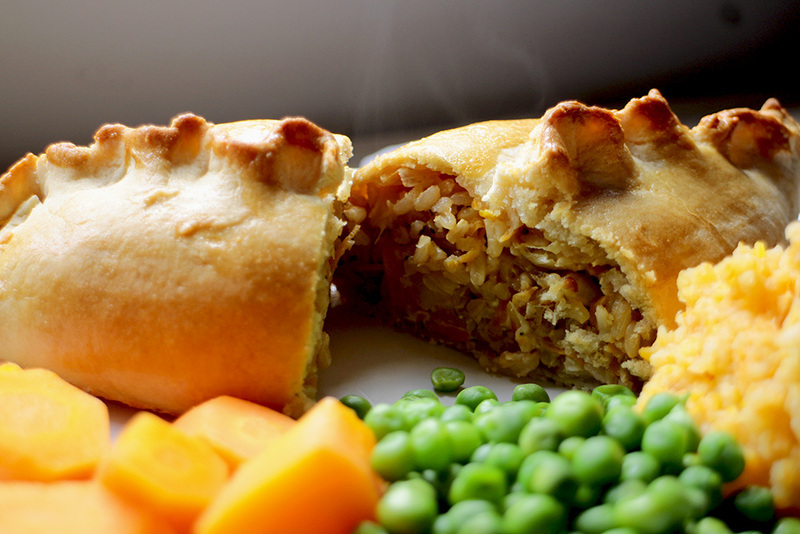 Serve with a hunk of buttered bread, or rice or mashed potato. *On my plate in the photo is 1 serving of stew plus brown rice totaling about 350-400 cals. I’ve had a couple of slip ups this week which culminated in me enjoying several glasses of wine and packets of chipsticks last night which I immediately regretted. 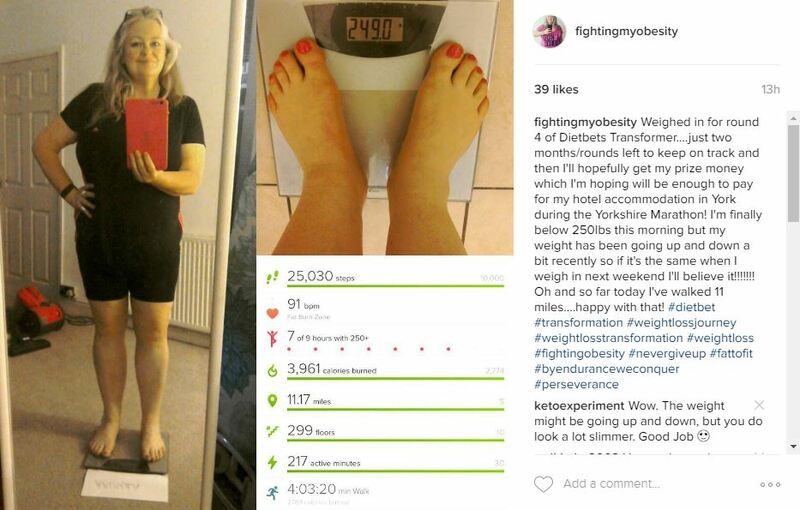 Not only deviating from my eating plan but all that junk food made me feel like poo. I’ve had several things on my mind recently and been really struggling with trying to lose more weight and because of a small tear in my heel it’s been a slack week for walking/exercising. 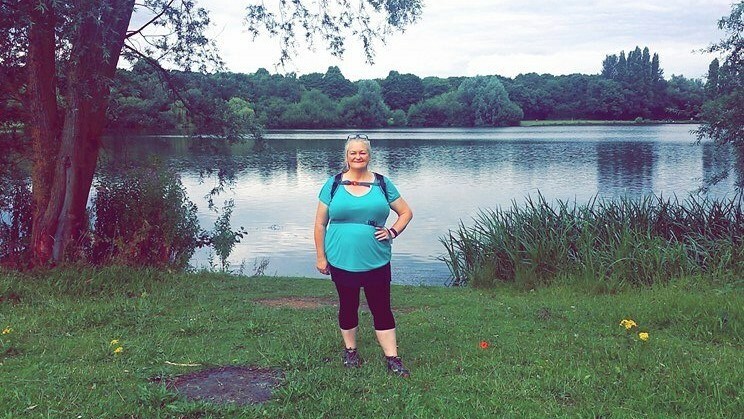 Today my daughter and I went for a gentle walk and I felt somewhat better after that and some serious Marathon training will be taking place tomorrow at our favourite walking place, Wollaton Hall and Deer Park. Keep walking and laughing and never give up! 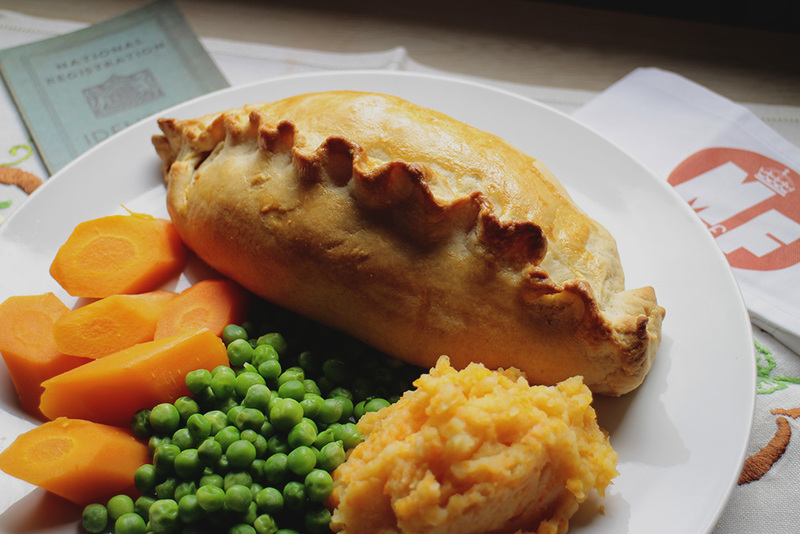 The original recipe calls for the filling ingredients to be mixed together well and then placed on the pastry and formed into pasties. To improve the flavour, once the rice was cooked I placed a knob of butter in a pan and when it was hot added the chopped leek and sauted and then added the rice and mixed well. I then removed from the heat and mixed in the raw grated carrot, grated cheese and two teaspoons of Marmite and a little extra salt and pepper. I rolled out the pastry into three rounds about the size of a large side plate and damped all the edges with water and placed a third of the mixture in the middle of each tapering out at each end and then brought the pastry up and over and created the frill with my two fingers. 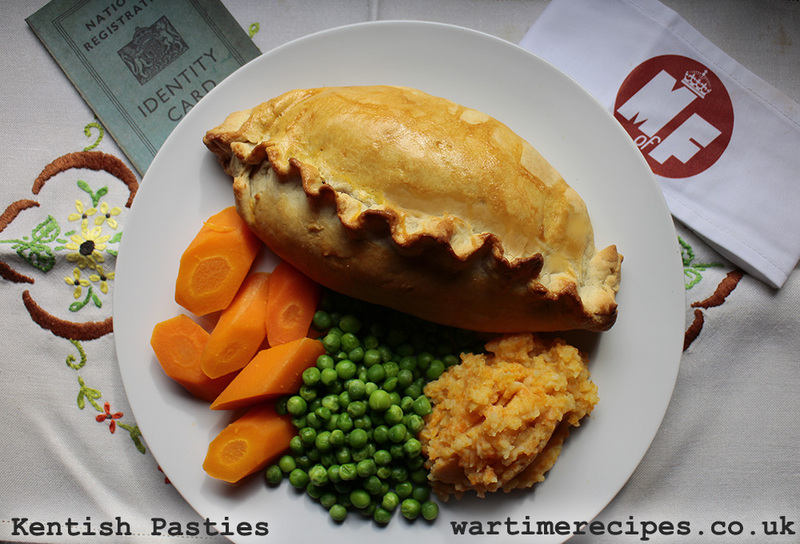 The pasties took about 30 minutes to cook in a pre-heated oven at 200 C.
Makes 3 extra large pasties or 6 small ones! A very quick update as I drink my tea before heading to work. Yesterday I FINALLY broke the 250 lbs mark. My weight has been meandering for the last 6 weeks flitting up and down between 250-254 lbs so it was a relief to see it finally drop to 249 lbs. No more crushing lower back pain and can now walk several miles instead of 100 yards! Am feeling stronger about myself as a person. Am feeling much healthier, my BP has dropped, my pulse rate has dropped. Am fitting into clothes in my wardrobe that were too tight before! This easy and delicious recipe was taken from the WW2 ‘High Teas and Suppers’ Ministry of Food Leaflet No.7. I’ve just eaten two bowls of this with a slice of bread and butter and thoroughly enjoyed every single mouthful. Cut the leeks in half long ways and after washing chop finely. Melt the fat in a saucepan and gently fry the leeks without browning, keeping the lid on. Add the potatoes and 3/4’s of the stock and cook until the potatoes are tender. Mix the powdered milk to a smooth paste with the remaining stock and add to the soup. Bring to the boil and sprinkle with chopped parsley just before serving. Calories per bowl 200 cals. My modifications: I’ve made this soup several times and usually make it with the following modifications which I feel not only fits in better with my daily diet but also I found by making these modifications the soup turned out even more delicious. Using alternatives to dairy below make the recipe suitable for vegans. Parsley: I just don’t like parsley. Instead I use a teaspoon of dried mixed herbs when cooking. Milk: I use wholebean soy milk on a daily basis so used 1/2 vegetable stock and 1/2 soy milk for the liquids used in the recipe. Potatoes: I always mash the cooked potatoes up and add them in to the soup. Sometimes the mash is a mixture of potato and carrot. I find this thickens the soup. 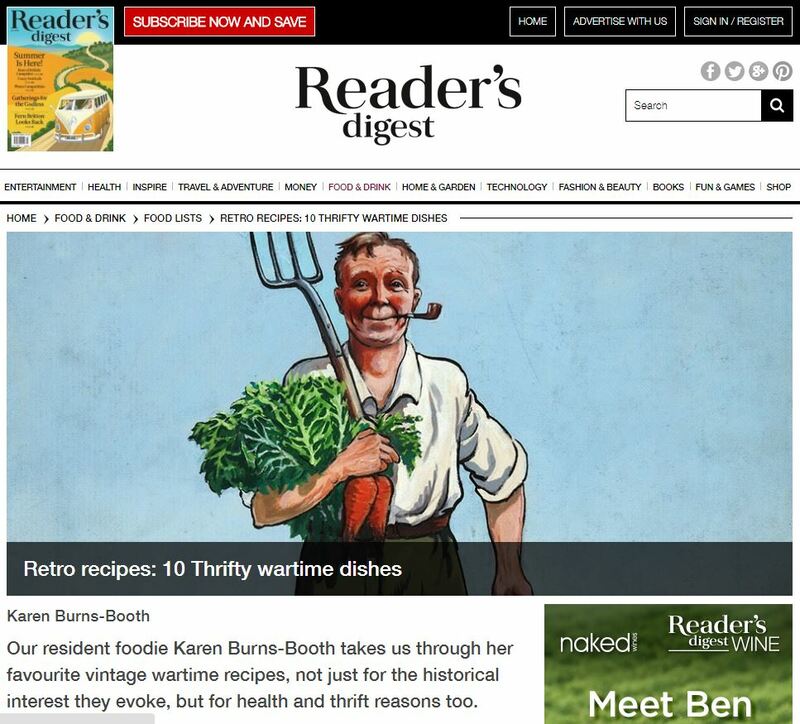 Thank you to Karen Burns Booth and the Readers Digest for featuring my Lord Woolton Pie. 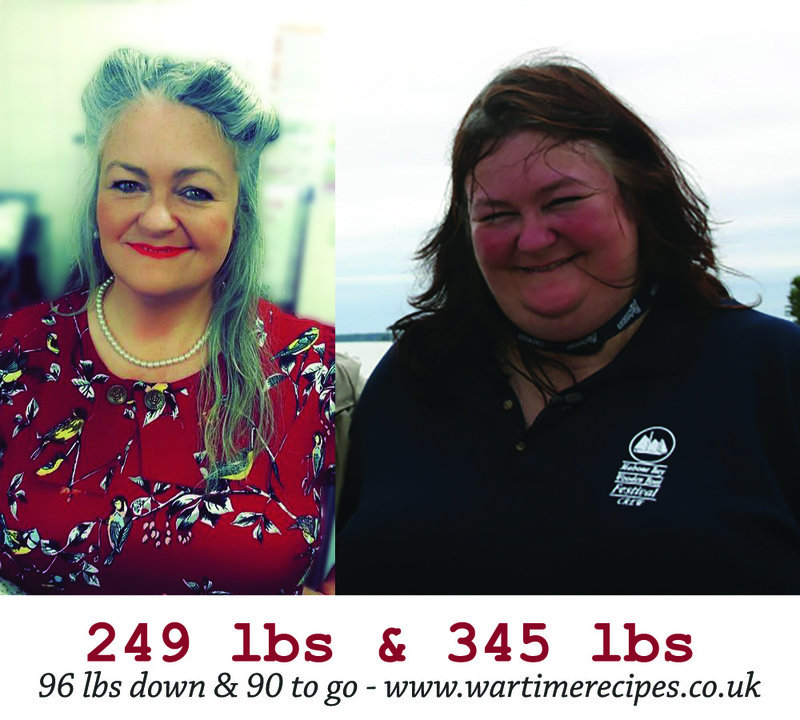 There are also 9 other great wartime recipes on the link below that you might like to check out! 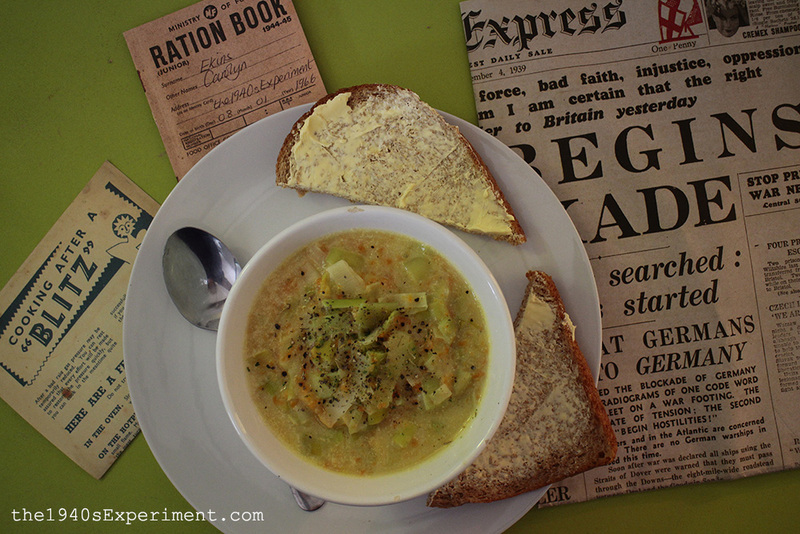 My breakfast this morning came from WW2 Ministry of Food Leaflet No. 33. As always, the recipe is simple, quick and frugal and pretty good for you! Soak the rolled oats, barley flakes or kernels overnight with barely enough water to cover. In the morning beat up well with the other ingredients. Editors Note: This dish makes enough for two people. 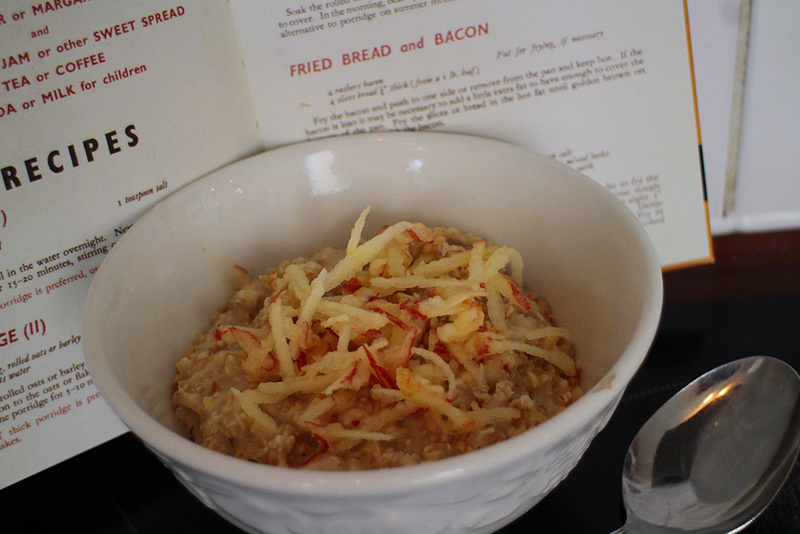 I used my normal rolled oats, mixed all the ingredients together and warmed through and then sprinkled a little extra grated apple on the top.